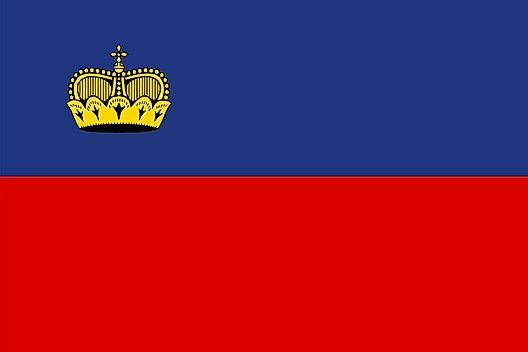 Established within the Holy Roman Empire in 1719, Liechtenstein became a sovereign state in 1806. In their early years, Liechtenstein was closely connected to Austria-Hungary, deriving most of their wealth from the Habsburgs, until World War I wreaked havoc on the economy. Following the war, the country formed a monetary union with Switzerland, as well as a defense system since the Liechtenstein army had disbanded in 1868. As World War II came to light in the early 1940's, Liechtenstein, along with Switzerland, remained neutral. After both World Wars, Liechtenstein's economy began to thrive as companies sought out the country due to its low corporate tax rates, and they soon became an important financial center. In 1978, Liechtenstein became a member of the Council of Europe, followed by the UN in 1990. In the early years of the 21st century, Prince Hans-Adam won a vote that allowed the changing of the constitution in favor of granting him more power than any other European monarch. Five months later, on August 15, 2003, Prince Hans-Adam handed over day-to-day running of Liechtenstein to his son Prince Alois. Liechtenstein is well known as a strong industrialized land and tax haven for banks and investment companies, and in 2008 a series of tax investigations began after the governments of other countries speculated that their citizens were evading tax obligations by banking in the country. Following this ordeal, in 2009, Liechtenstein signed agreements to share financial information with many countries, including the United States, United Kingdom, and Germany. Aside from its tax haven status, Liechtenstein is also a well known Alpine skiing destination, and is home to many museums and castles, including the famed Vaduz Castle in which the Prince of Liechtenstein resides. And for those seeking adventure, this pocket sized country is brimming with trails and forests for bikers and hikers alike; quaint villages dot the surrounding areas for moments of rest and relaxation.